New Laureate urges children to draw Jump to media player Writer and illustrator Chris Riddell becomes the new children's laureate. BP Book Awards shortlist revealed Jump to media player The six books in the running for this year's Blue Peter Book Awards are revealed. Blackman new Children's laureate Jump to media player Malorie Blackman, the bestselling author of the Noughts & Crosses series, was announced as the new laureate on Tuesday. 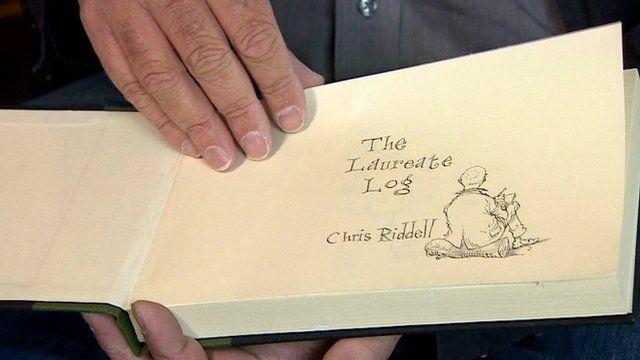 One of the UK's best known writers and illustrators has been named as the ninth children's laureate. Chris Riddell, whose works include the Goth Girl series, takes over from Malorie Blackman for the next two years. He said he hoped to "lead people into the wonderful world of books and reading".